When I was a little kid my parents took me to the Science Museum of Minnesota and I saw my first dinosaur skeleton. I was hooked. Currently, my research focuses on understanding how different groups of canids (dogs) behaved 18.5 million years ago. 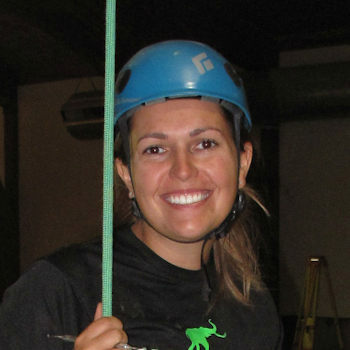 As a graduate student, I actively teach undergraduate students about animal diversity, anatomy, and about STEM (Science Technology Engineering and Mathematics) education. For my dissertation, I am developing 3D images through CT scans and surface scanning software of modern and fossil animals for comparison. One of my favorite things I have found in the field is a humerus (upper arm bone) of a Ice Age giant short-faced bear from the Mammoth Site in Hot Springs, South Dakota. 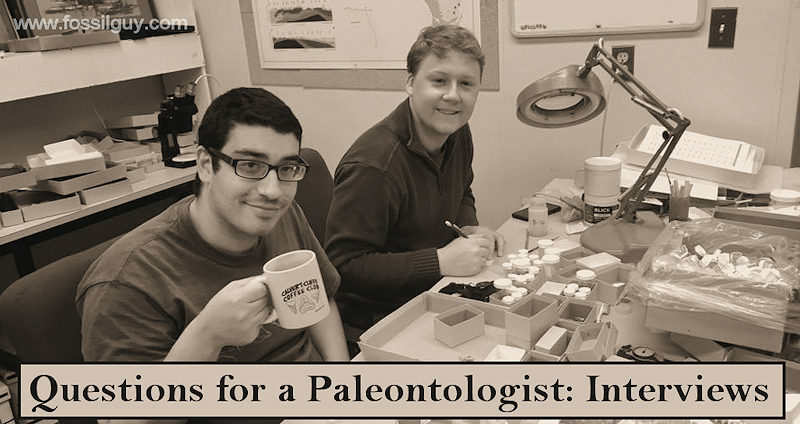 One of my favorite things about being a paleontologist is that it combines so many different fields. A paleontologist needs to have a good understanding of geology, biology, chemistry, etc. I am always learning something new. 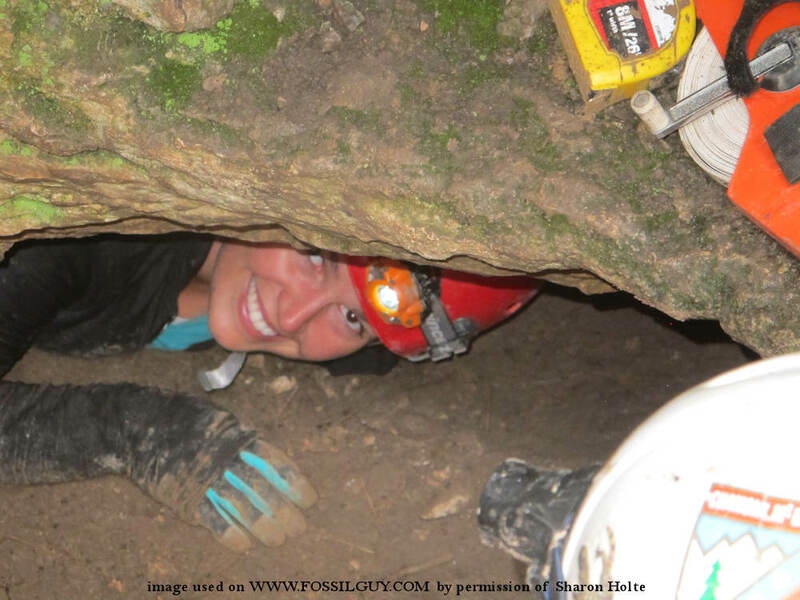 Sharon E. Holte excavating in a cave. 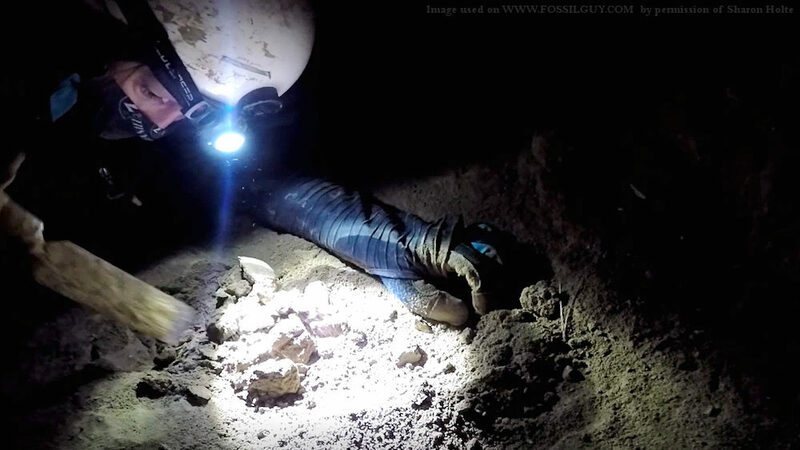 Sharon Holte looking for fossils in small spaces! 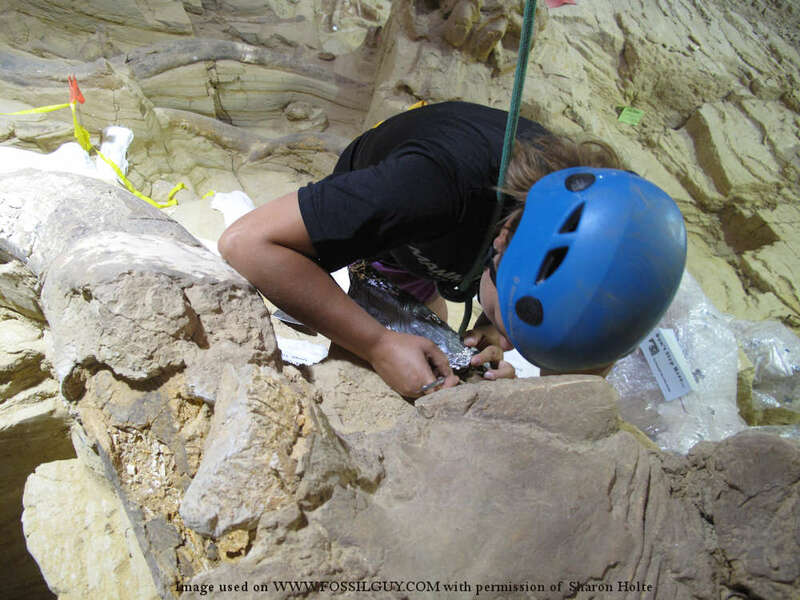 Sharon Holte excavating at the Mammoth Site in Hot Springs, South Dakota. 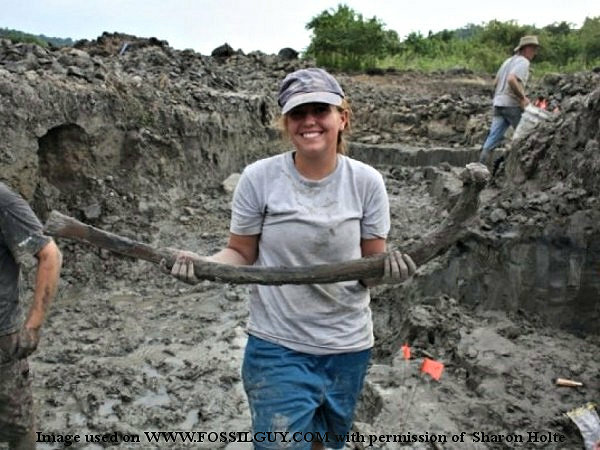 Sharon Holte with a recently excavated mammoth rib!